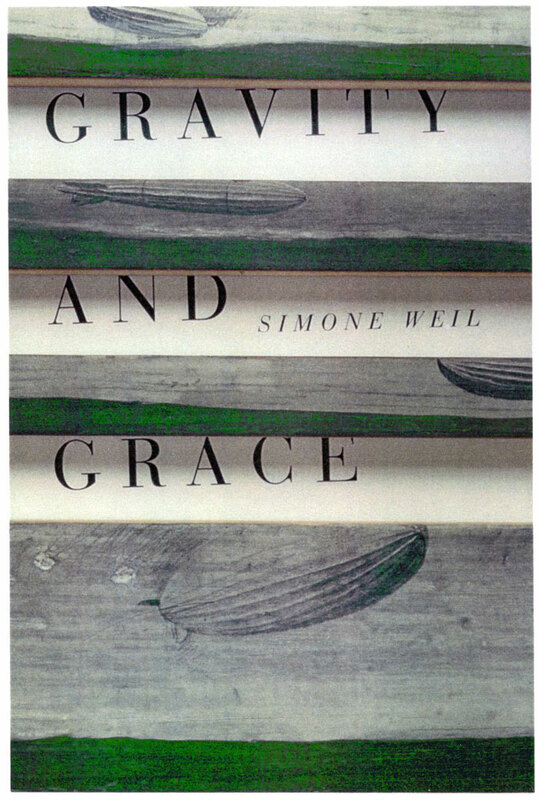 Gravity and Grace by Simone Weil: a real book and a real author, but a fake jacket, made as a sample in collaboration with my friends Charlie and Steve when we had a short-lived design and illustration partnership. Charlie did the type treatment, Steve took the photo, and I drew and painted the pictures. 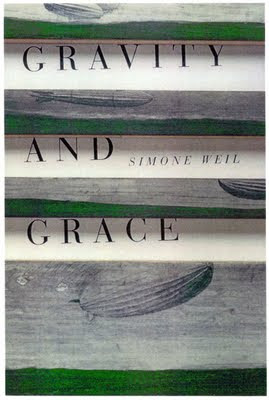 Actually, I'd started the pictures in college - they were just oblong “landscapes” of green oil paint on gessoed wood slats - and a few years later I added the dirigibles in pencil. The image shown here is “sweetened” inasmuch as it’s a digitally manipulated color xerox of a laminated Ektachrome (I think) print (a lot of color was lost along the way - and the original photo is much crisper, but I don’t know where it is now).